Thanks, as I am on mac, do I just launch/install the .exe file in the porting kit to overwrite the currently installed release? I was able to recreate your problem. It seems like there is some problem with MapTileArraySet function. It can be fixed with using MapTileArraySetS function instead. In the mean time you can download fix from here: http://uploadfile.pl/pokaz/1661025---z8qf.html. Unpack this archive and replace files in [kam folder]\Campaigns\On Foreign Lands - Empire Reborn\OER12 with those you downloaded. This is a quick fix so map can have some visual bugs but will be playable. UPDATE: First post in this thread was updated with current fixes (mission 12 included). If you can please update entire mission OER12 folder with files from first post link. Well, the tunnel is now opened, but everytime after market meeting with recruits, error appears. About cca 10 secs after last message. OK, I'm working on solution. Please be patient. Last edited by grayter on 03 Mar 2019, 11:33, edited 2 times in total. grayter wrote: OK, I'm working on solution. Please be patient. I can't reproduce your bug but I guess this is an array exception. Did you try to play this mission more than once? Here you can find updated campaign: http://uploadfile.pl/pokaz/1661635---gmca.html. 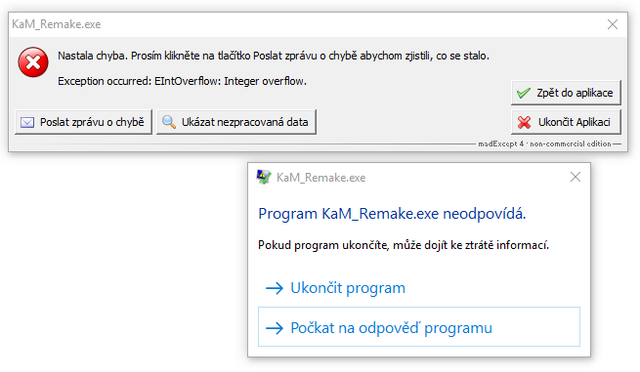 Unpack folder with mission OER12 from link and replace existing folder with downloaded one. I hope it helps. Thank you, it was only on that one exact play. After done, i tried to restart mission 3x and everytime finished without problems. I hoped the rest of map will open when the castle was conquered. Why is it so big? Nefospe wrote: Why is it so big? This mission was intended to be two-part gameplay. Map included in campaign is the second one. In future will be one more mission between current 11 and 12. I am waiting for new scripts because some of my ideas are impossible to do without some ugly hacks.